We greatly value the opinions of our students, and act on your suggestions. 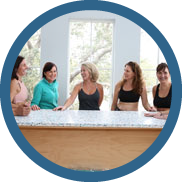 If you’ve enjoyed and benefitted from 360 Yoga of Charleston, we’d love to know and share it with others. If you haven’t, we’d like to know about that, too. Please fill out the information below and add your review.